Why there is no national 529 plan? Looking at some states plan, it’s pretty much mutual funds like 401k, the investment return is like S&P? Why bother (consider S&P return is so low)? I am not expert on this, I think why each state has a plan is pretty much why each employer (or most employers) has a 401k plan. The main purpose for such as plan is this: 1) Save some money for future liability (retirement or college tuition); 2) Hopefully the money can grow with the power of compound interest (snow ball effect); The tax deferral (in the case of 401k) or tax deduction (most 529 plans) are just ice on the cake. As to why there is no national plan and federal tax deduction, I think this partially explained by college savings is still very small compared to retirement savings. Another indicator is the sales (or willingness for people to pay) my iPhone retirement savings/college savings app. Basically I gave away college savings calculator there because very few people are willing to pay 99 cents. A side note: most people think spx (S&P index) is just boring, and some people think their retirement savings investments can grow 20% year over year. I think those people are too optimistic about their future. 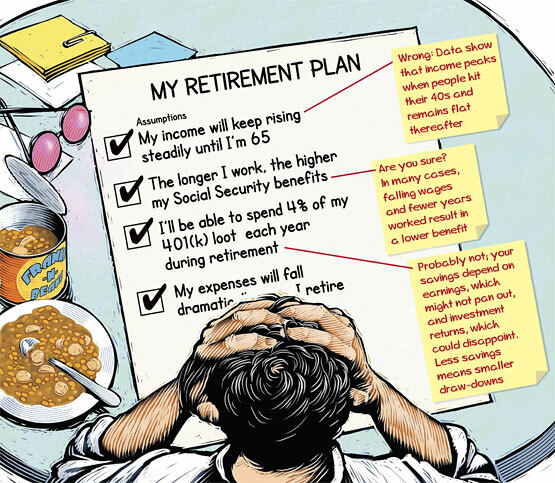 WSJ has an excellent article “The other midlife crisis” which explains why people expectations on income growth and retirement investment return are unrealistic.